Patrick Forsyth, now a marketing consultant, draws in his many years' experience of the publishing industry to reinstate marketing firmly where it should be: as an integral and integrated part of the whole marketing process. Marketing in Publishing gives expert guidance on different elements of the marketing process, including advice on promotional and direct mail options, and a step-by-step section on how to make an effective sales call. It includes a valuable discussion of fusing market research intelligently to identify new opportunities and market niches. The book also features an authoritative chapter evaluating the importance of electronic publishing. 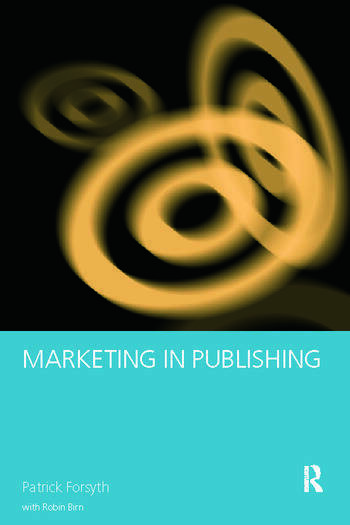 Completely up-to-date, Marketing in Publishing will be essential reading both for those working in marketing and editorial departments, and for students of publishing studies.